As a third year English Literature student, by now I feel quite well adjusted to a heavy workload and stacks of reading! 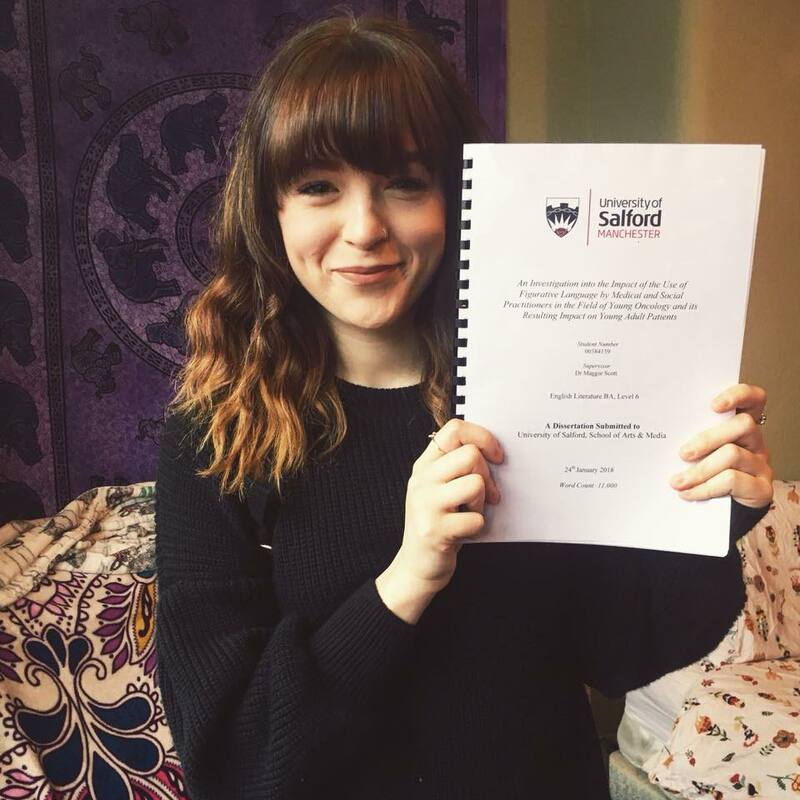 I want to share my experiences with you across my last semester at the University of Salford and give you some regular updates and insights into what I am doing. With that in mind, I want to cast my mind to the first few weeks into my last semester at university. One word always come to mind: Reading. I don’t think that is a shock to anyone. The beginning of my second semester of my last year began with a lot of reading, and a lot of organisation to go with it! After completing my dissertation in my last semester (with a grand total of 11,000 words) I now feel quite accustomed to a hefty workload, and feel more prepared for the semester ahead. 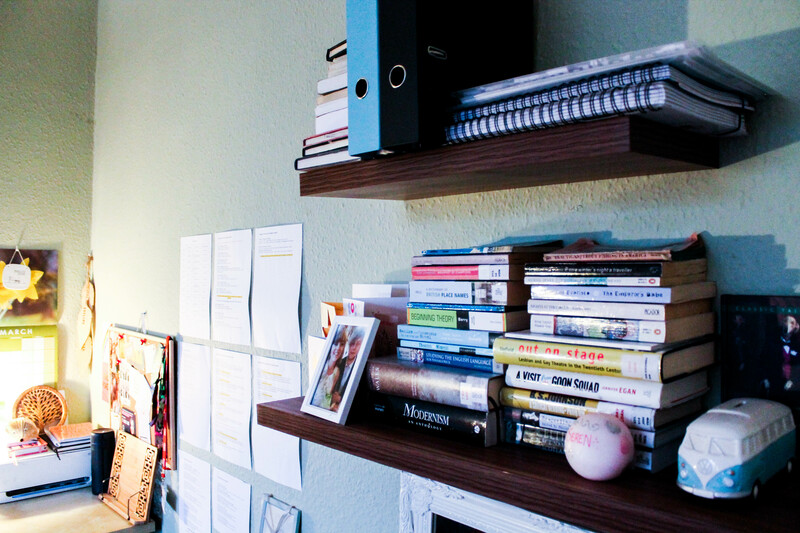 It was a really great learning curve to manage my own workload on this scale, and I urge anyone reading this to definitely take up the option of doing one! It is really worth it in the long run. In my first week I made sure to curate some of my usual timetables that I’ve been making since my first year. 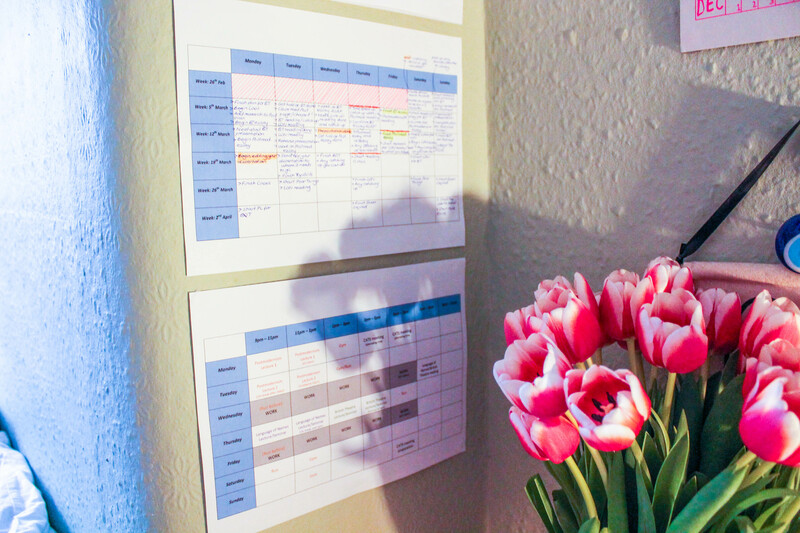 I like to stick my lecture schedules on my wall (be sure to use white tac!) and tables that clearly show what reading need to be finished for when. On these timetables I also schedule in breaks in study, such as the weeks we get off for Easter where I complete most of my reading for the second half of the semester. I also make it very clear to myself when my assignments are due. This also goes alongside marking deadlines on my wall calendar and my phone, you can never be too prepared! 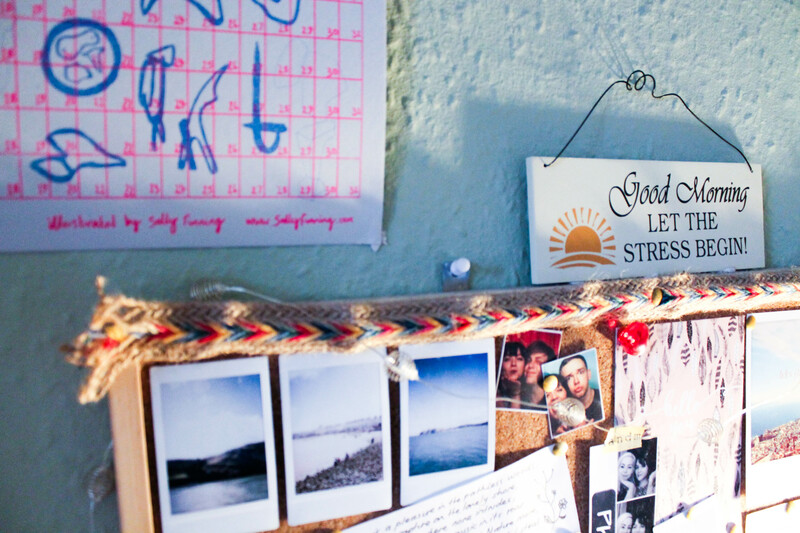 Time goes fast at university, and the assessments can come quicker than you think. I also get all my text books ordered in advance, or get them taken out of the library and stack them onto my shelves. I also prepare my folders ready to file my work away, and get them labelled for each module. All this organisation really helps to keep track of all of my work and ensures I stay focused throughout the semester. The three modules I have taken in 2018 reflect the interests I have developed over the years I have been studying at the University of Salford. 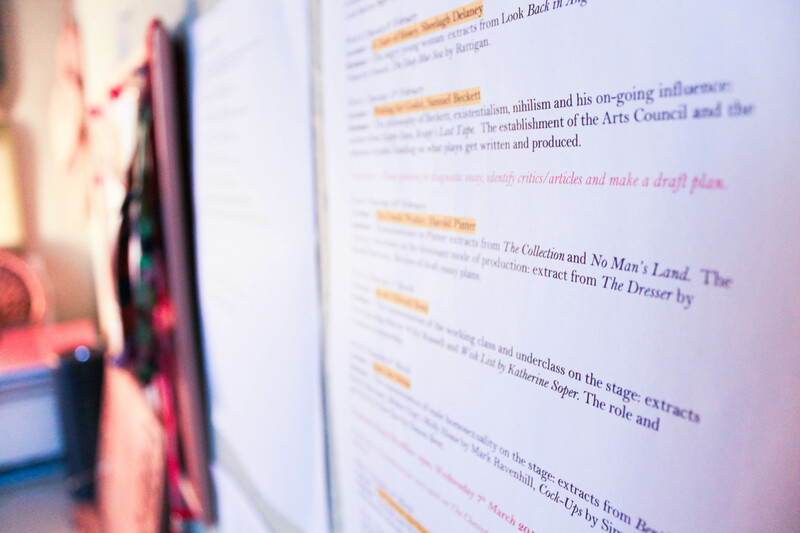 The fantastic thing about studying English Literature is the array of options you get to choose from, and how you can develop your passions while you tailor a degree that works for you. With that in mind, I chose British Theatre: Post 1950 and The Language of Names, alongside our core module, Postmodernism. Our course ensures we gain a core understanding of the history of English Literature from the Romantic Period to the present day, but with added layers of our own interest. The array of reading I do on my course is outstanding, and is a real asset to my CV as well as a great gain for my own knowledge. 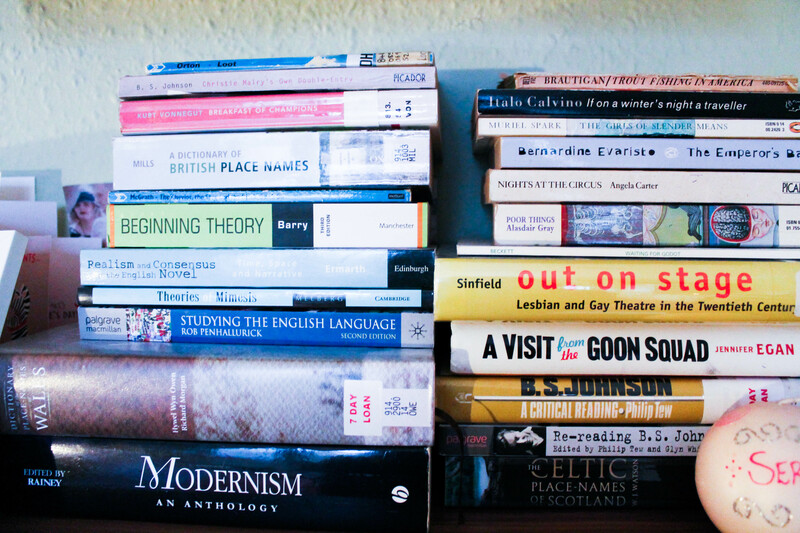 So far this semester I’ve taken out textbooks from the Clifford Whitworth Library about anything from Welsh Place-Names to the representation of LGBTQ culture in 20th century theatre. I love being able to jump from lots of different material, it really does keep things exciting! Coming into the middle of Semester 2 we are now beginning to focus on our first group of assignments. For the modules I have taken this semester, all of my assessments are comprised entirely of essays, with the exception of one exam (this is for Postmodernism) in May. This is obviously a really crucial time, considering your last year is worth 75% of your overall grade. For the next week or so you can probably find me in the library, at my desk planning, or at another study space planning my assignments, hunting for my secondary reading requirements, and typing it all up! If you have any questions about my course, please be sure to comment below and I’ll be happy to answer them. I am English translation student in Iran, i like to know if there are also courses for translation students in this university! and as a translation student, i could apply to this university to continue my M.A. Hi there! Thank you for your interest in the University of Salford. We do not offer an MA Translation course here unfortunately. However, if this is a course you are looking at studying I would perhaps recommend taking a look on http://www.findamasters.com for institutions that may offer the course.